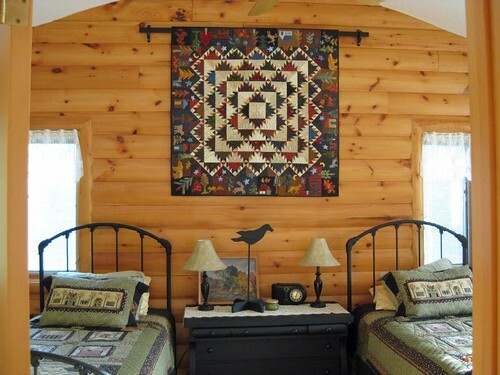 We hung the Autumn Trails quilt on the guest bedroom wall. Isn’t the wall bracket wonderful? Dave designed and built it. You sure do make some gorgeous quilts! I’m so glad to have found your blog via your flickr photos. I’m excited to see what you do next!